Who will be the Lucha Libre Inflatable Slide champion? Luchadores can slide down this super water slide and make a splash to find out. Whoever makes the biggest splash wins! 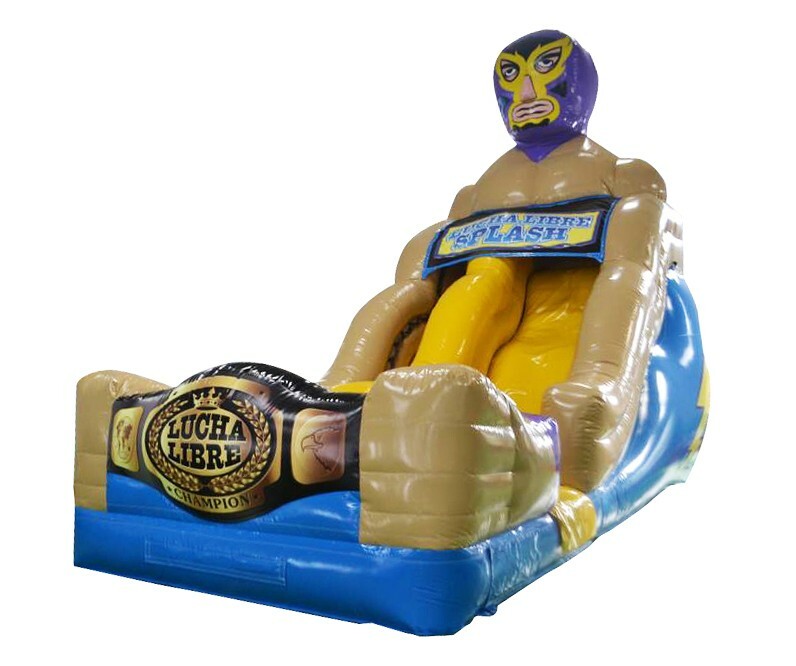 This inflatable slide features a large luchador in a purple and yellow mask. His long arms make up the sides of the slide and in his hands he holds the giant championship belt. 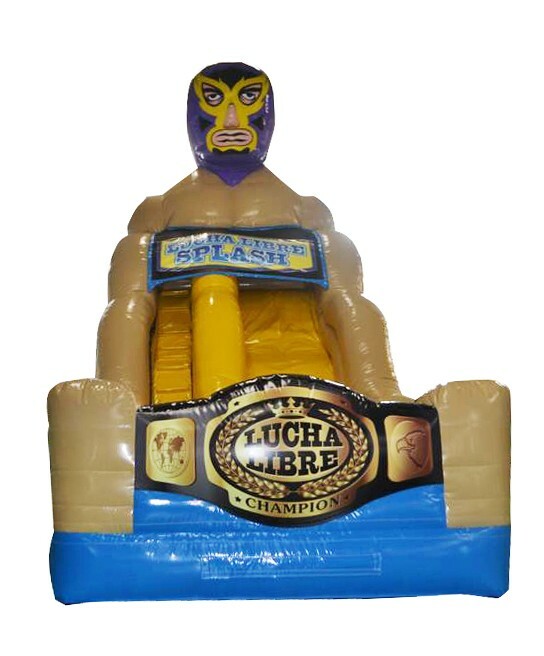 The Lucha Libre Inflatable Slide is perfect for parties for Lucha Libre fans of all ages. Everyone will enjoy watching party guests climb and slide and splash.